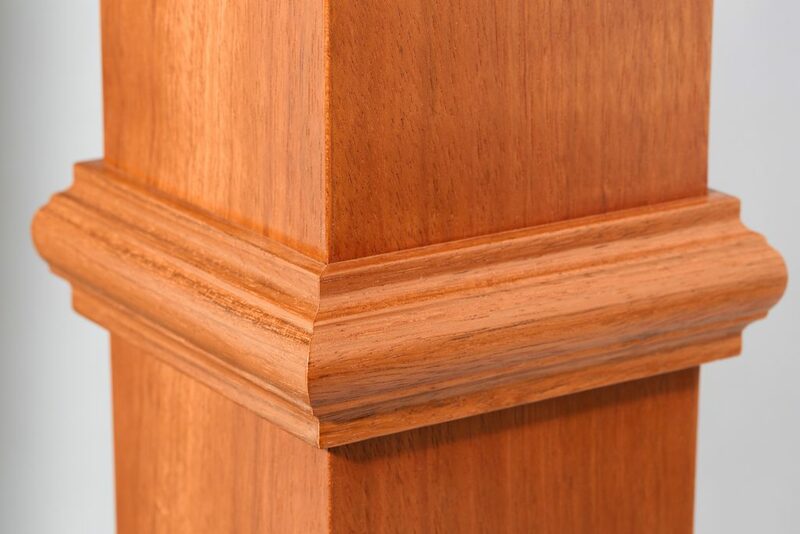 Gentle turns of the lathe carve the insets of the 4991 Blended Recessed Panel Box Newel. 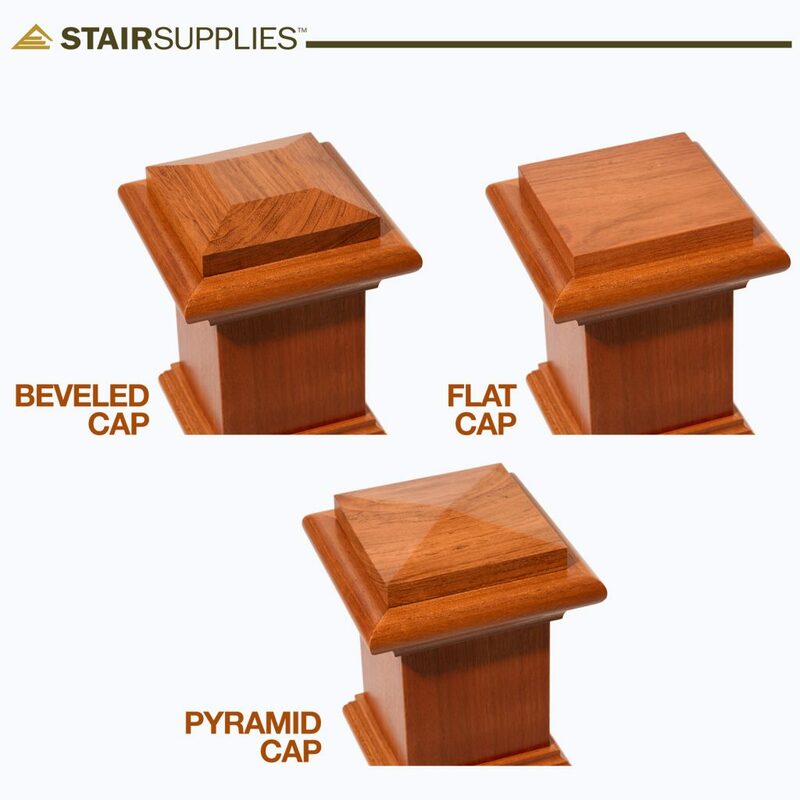 The strong newel body arrives primed and ready to paint, accented with stain-grade trim and newel cap in your choice of beveled, flat, or pyramid style. 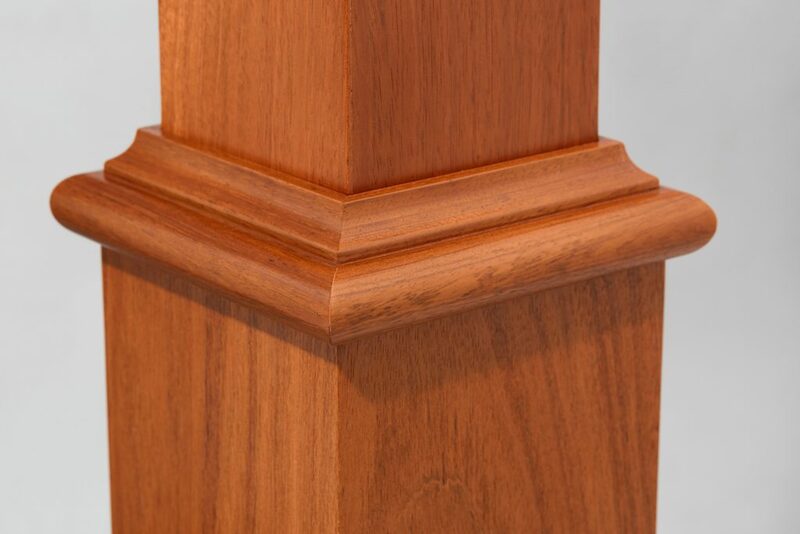 This robust box newel can be paired with the complementary 4623 Blended Recessed Panel Box Newel for a box newel arrangement tailor-made for your space. 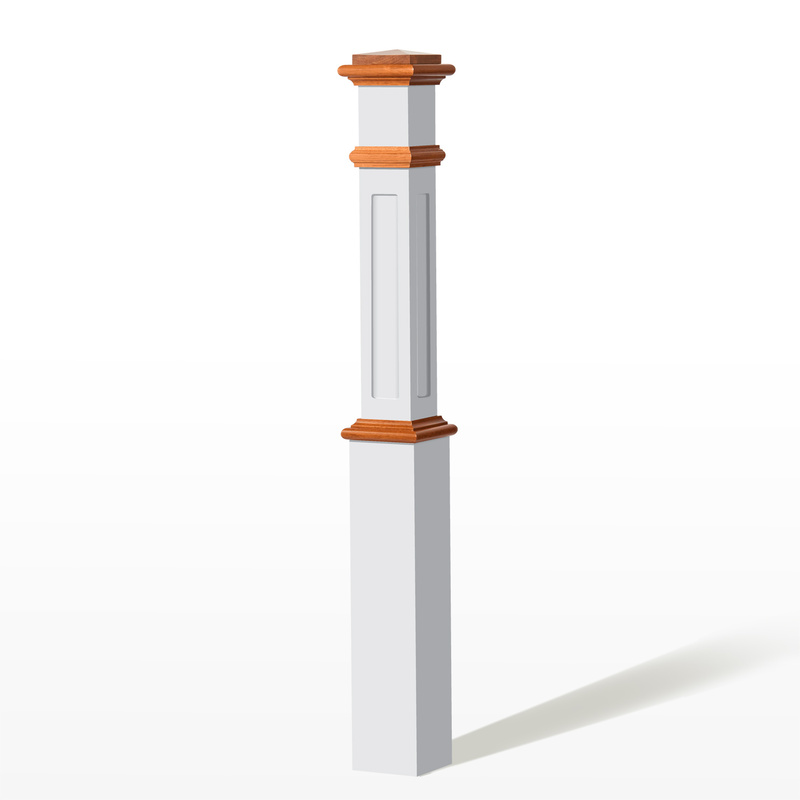 To install your 4991 Blended Recessed Panel Box Newel, you will need the Box Newel Mounting Kit. Follow our Installation Video to ensure a secure fit. The Blended Recessed Panel Box Newel may be installed either on the surface of the stair tread or beside the tread. Due to their precise edges, we have found that Box Newels look best on a square starting step. Join handrail to your 4991 Blended Recessed Panel Box Newel using a rail bolt kit. Many configurations allow handrail to mount directly into the newel; however, if your handrail is joining with your box newel on a rake, you may also require a gooseneck handrail attachment. Can this newel be trimmed by 5″? 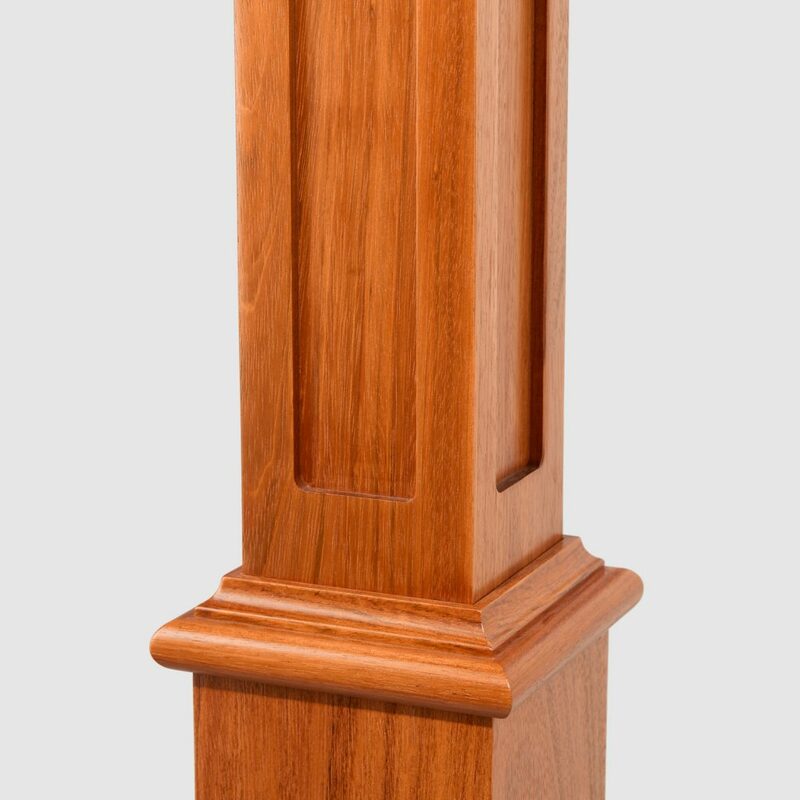 All of our newels are manufactured at a standard length that is intentionally oversized so that they can be trimmed on-site to the necessary length.